Happiness can be found anywhere – even in the simplest things. 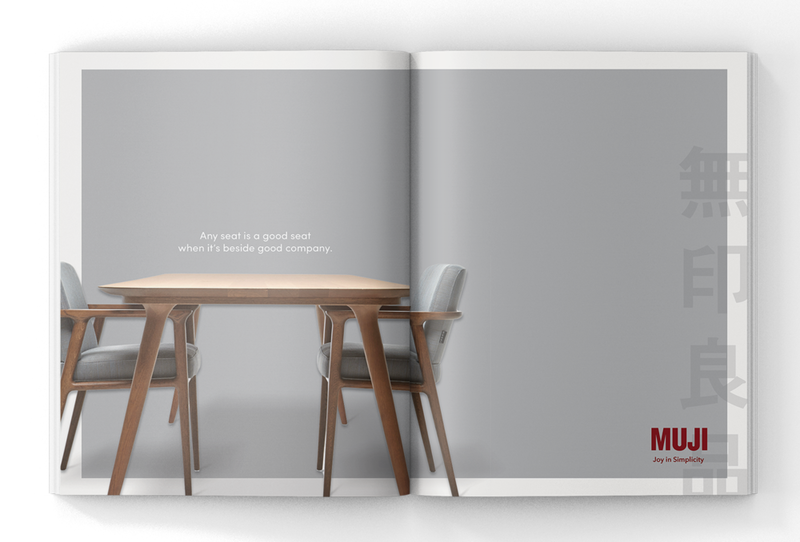 because what’s more important is you and the experience the product gives you. a place where people are often stressed out and could use little reminders. 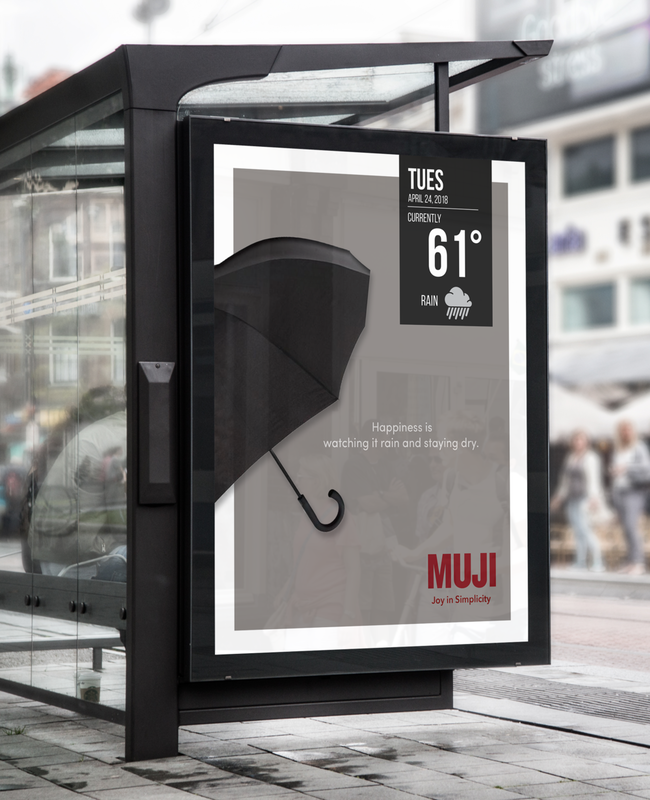 Screens at bus shelters will prompt a MUJI product and a simple joy that are both relevant to the current weather. Shoppers would be given a coupon via mail or in store with every purchase. The “little joys” on the coupon varies based on the item they bought. 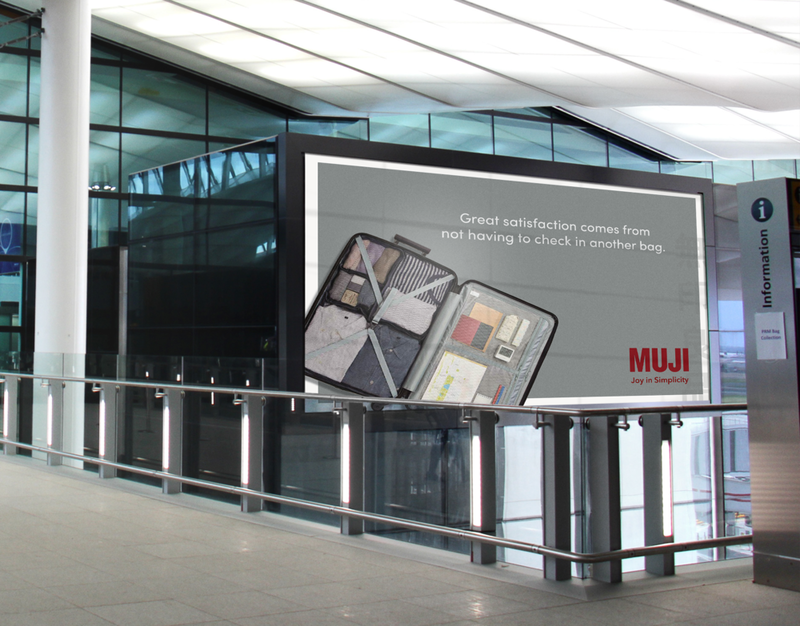 MUJI knows how great of an impact something simple could have. 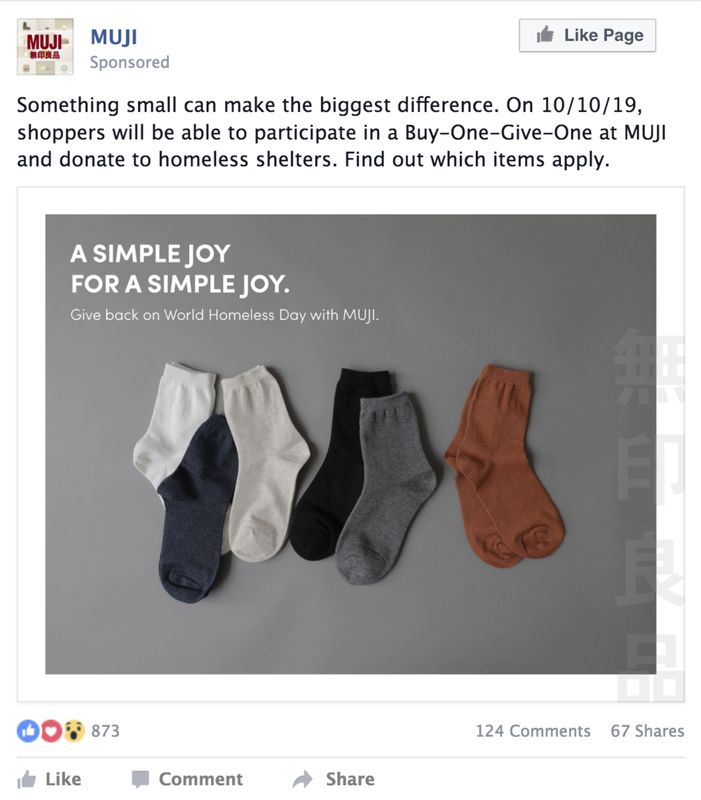 That's why for World Homeless Day MUJI will partner with customers in a Buy-One-Give-One to give to those in need.